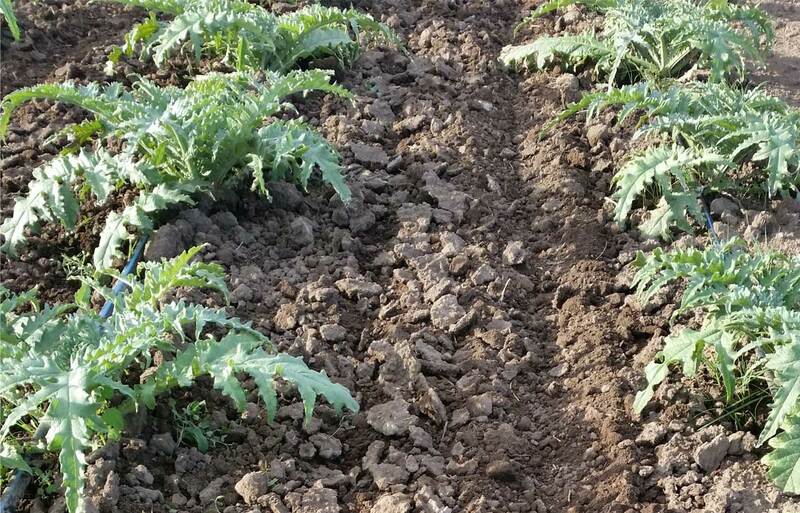 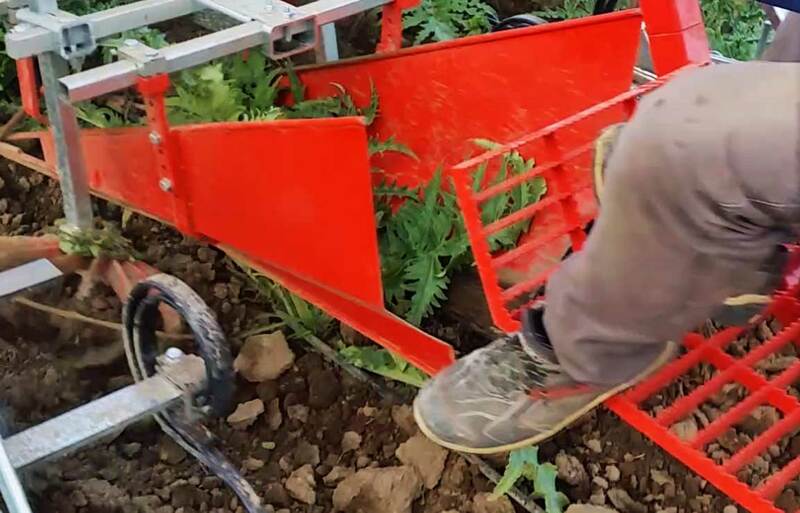 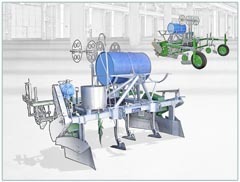 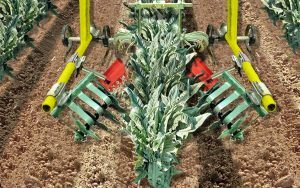 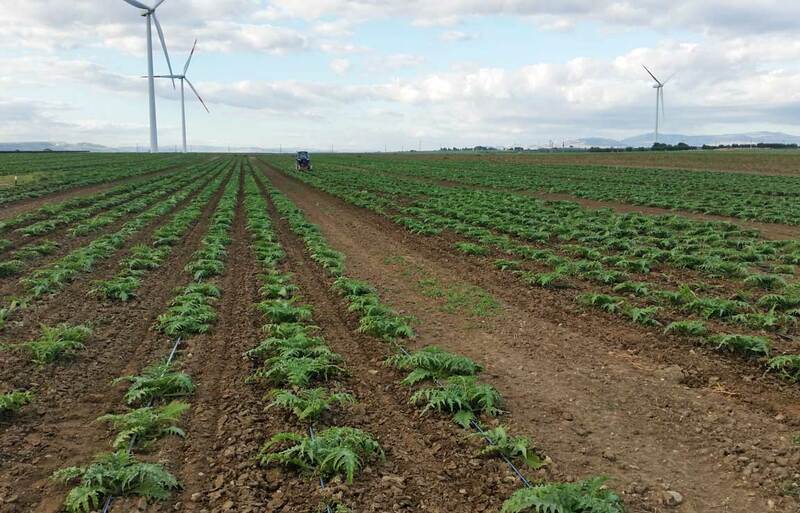 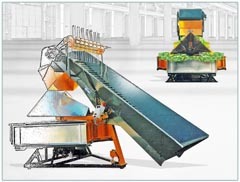 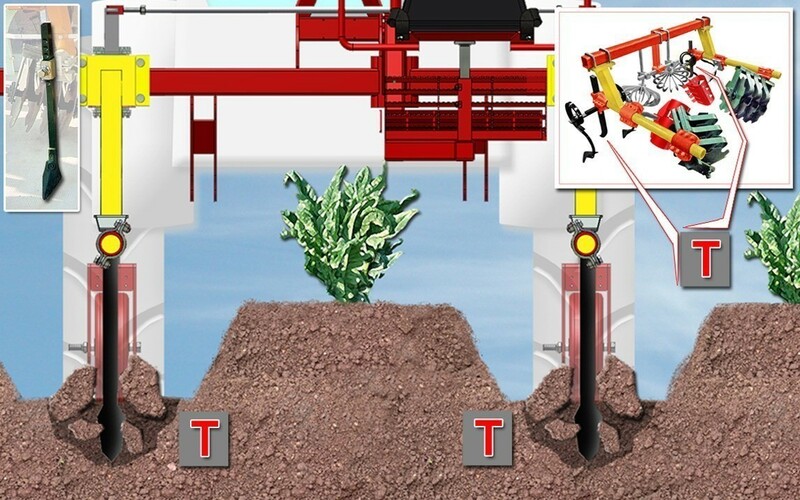 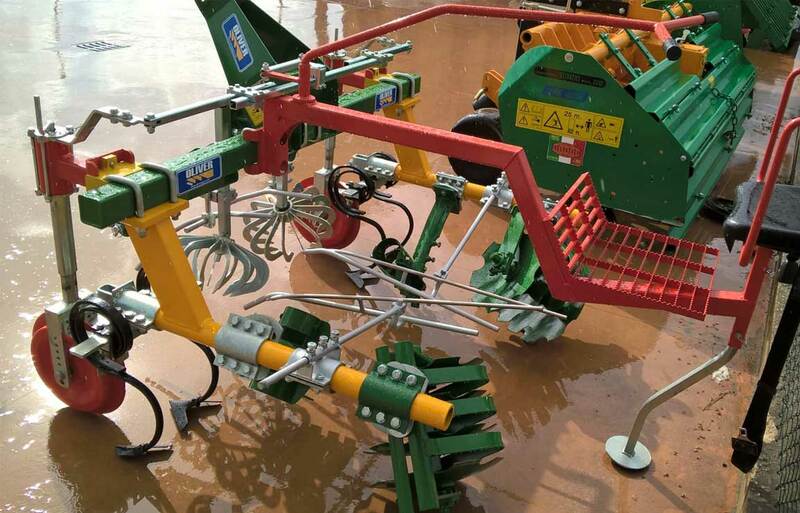 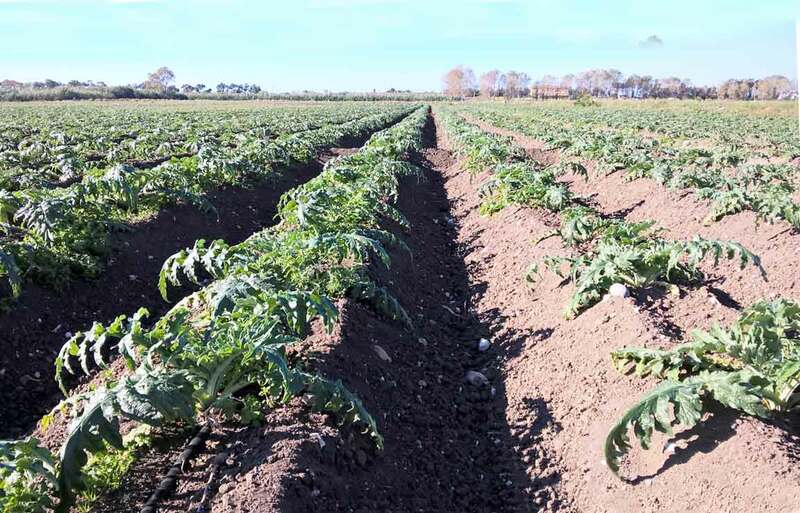 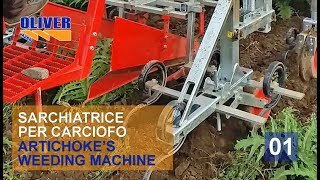 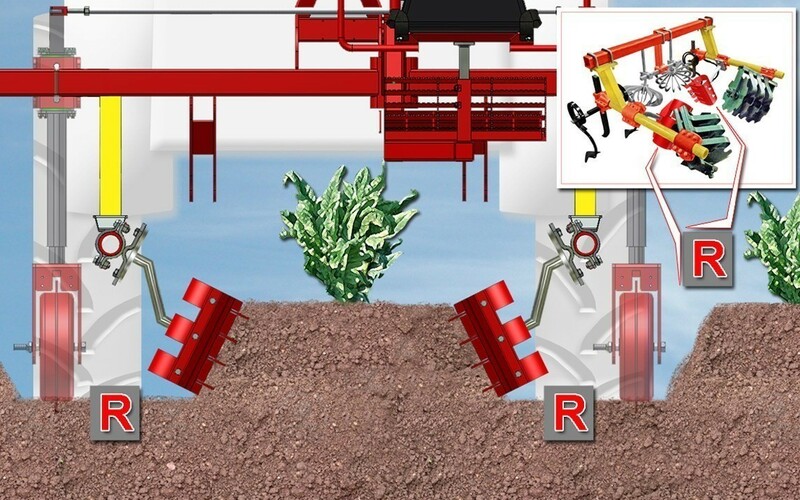 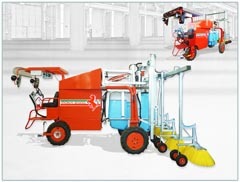 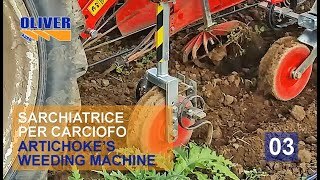 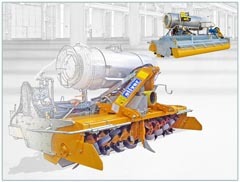 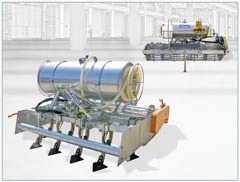 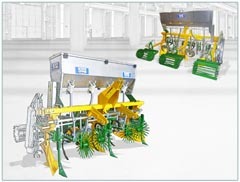 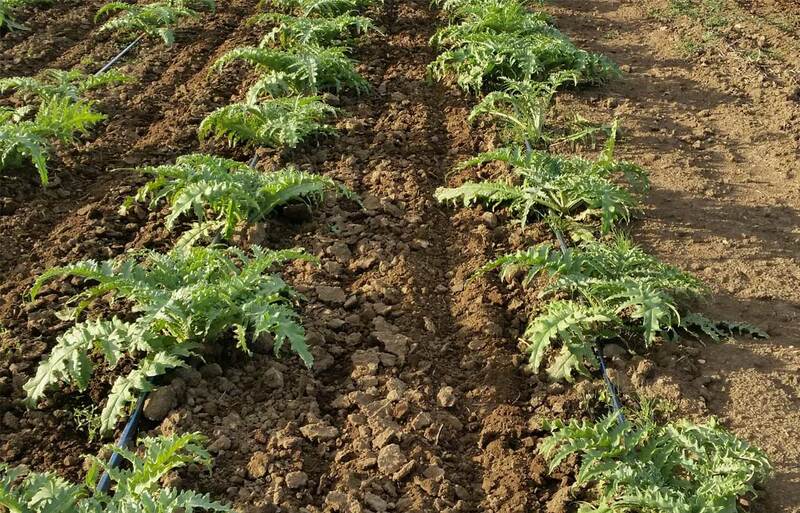 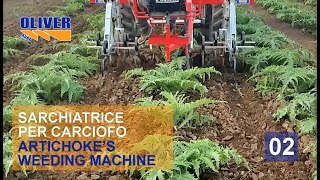 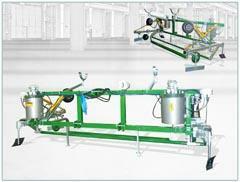 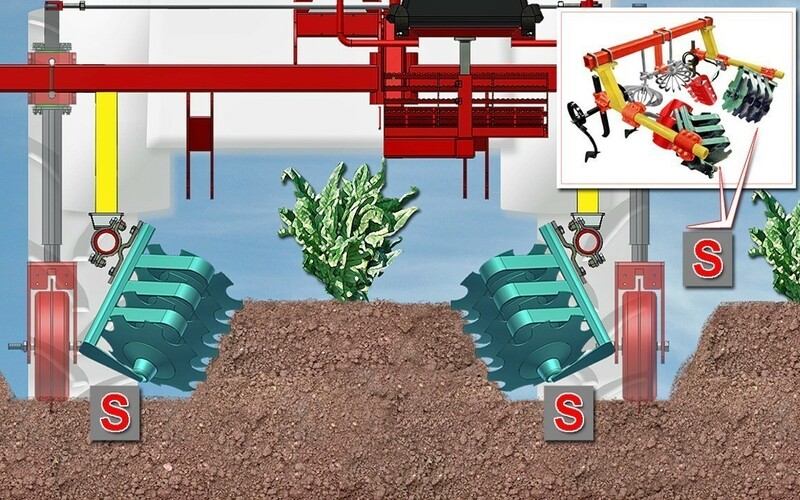 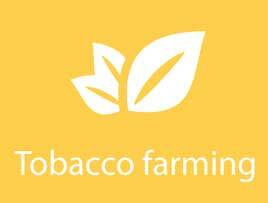 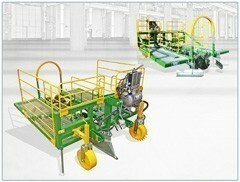 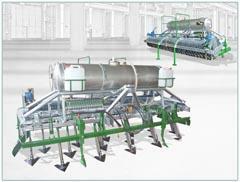 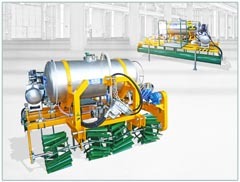 Is a machine specially designed for cleaning the beds on artichoke crops. 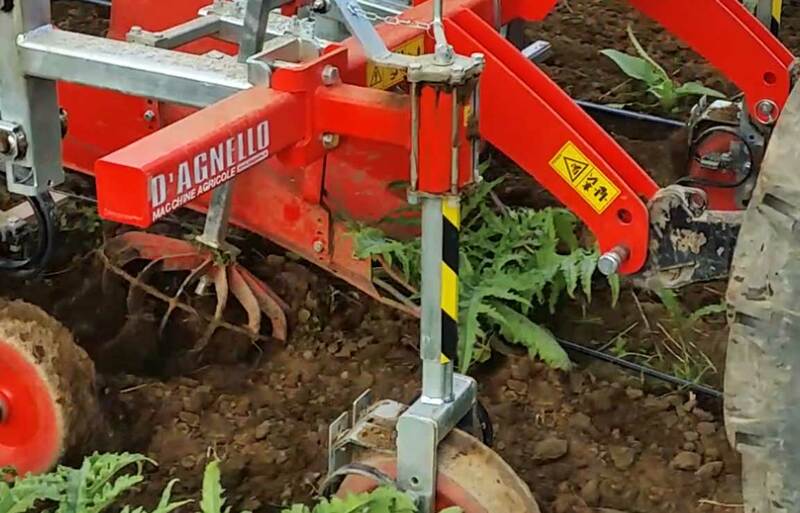 Reliable, precise and robust, easily adjustable and practical to use. 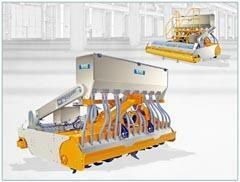 The machine develops on a standard basic configuration. 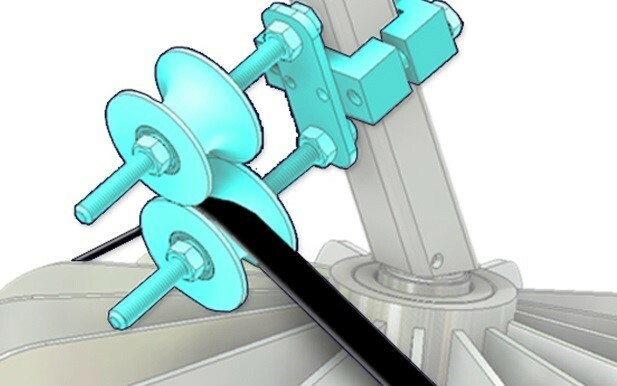 Fixed third point connection (B), of different sizes. 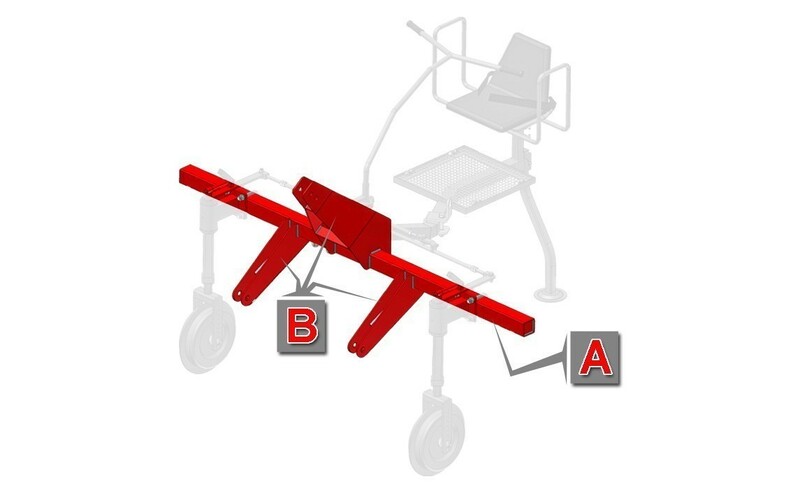 Manual dirve (C) with seat (D) managed by the operator. 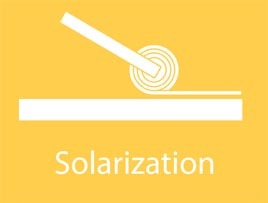 The two Rotoblizz (P), opposed. 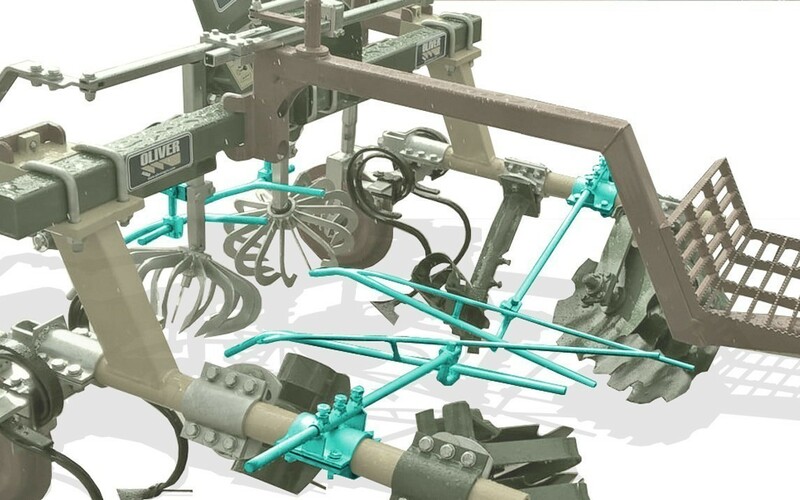 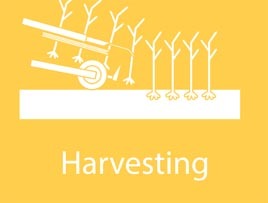 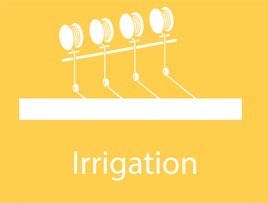 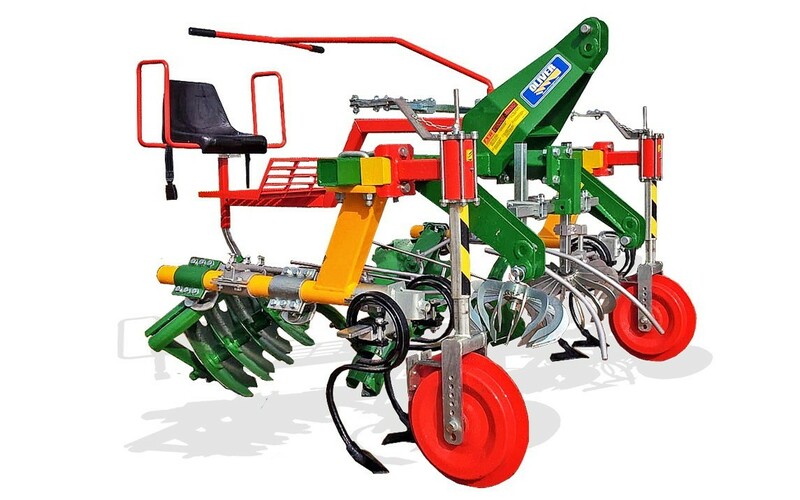 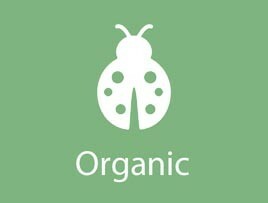 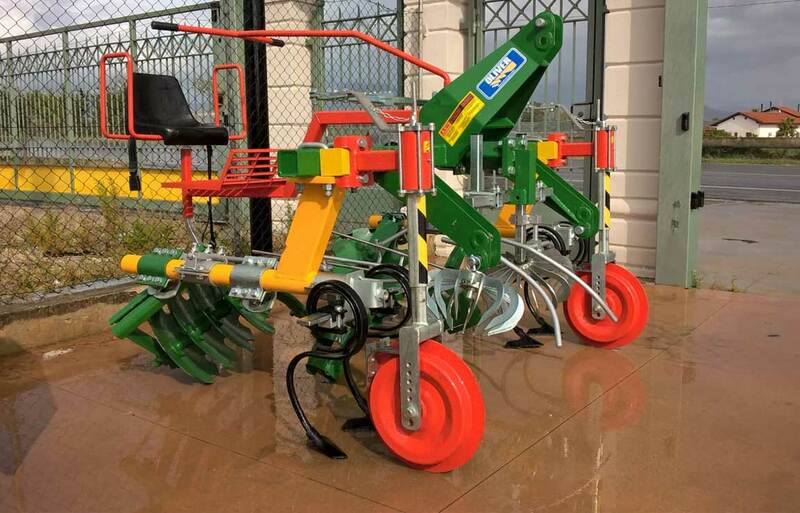 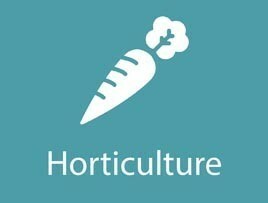 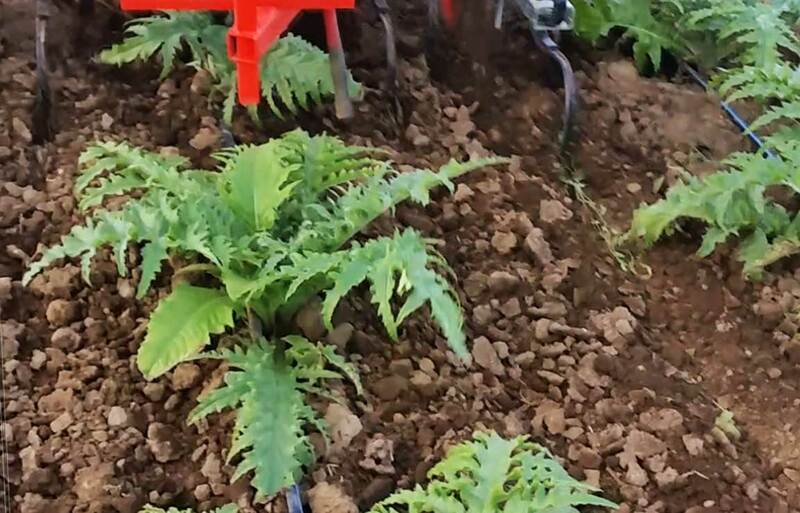 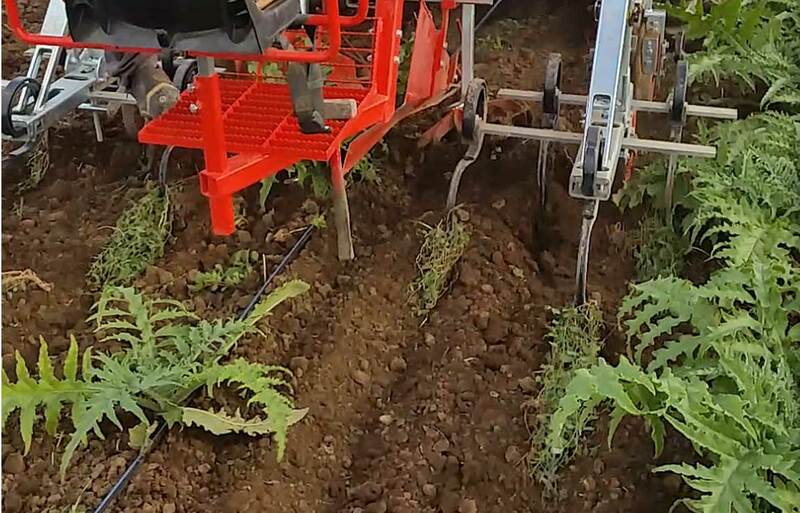 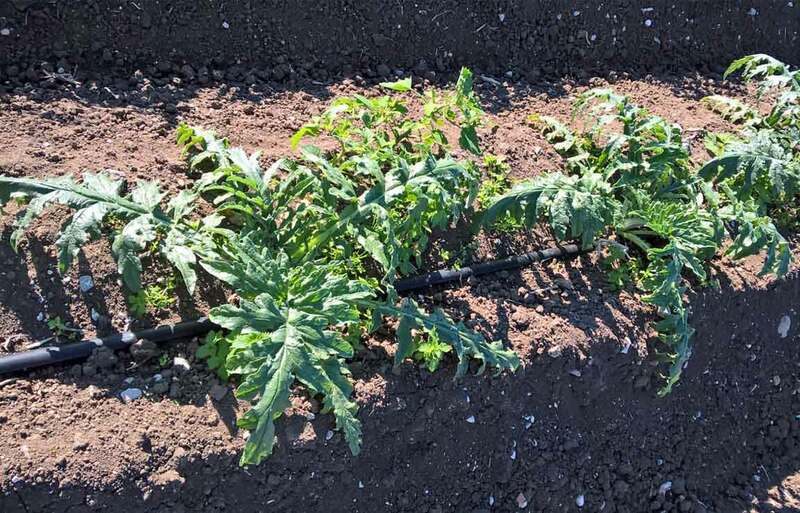 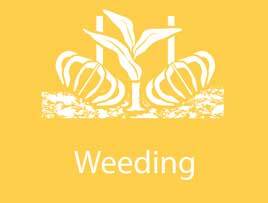 They work the upper part of the bed, uprooting the weeds on the transplanting row, at 1-2 cm from the plant, aerating the soil, on plants up to 100 cm tall. 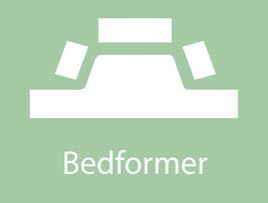 They break, flatten and clean the ridges of ground on the shoulders of the bed. 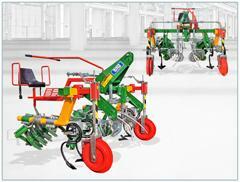 It is a ridger consisting of 5 toothed disks that rotate by dragging, carrying out a further operation of cleaning the bed and restoration of the bed. 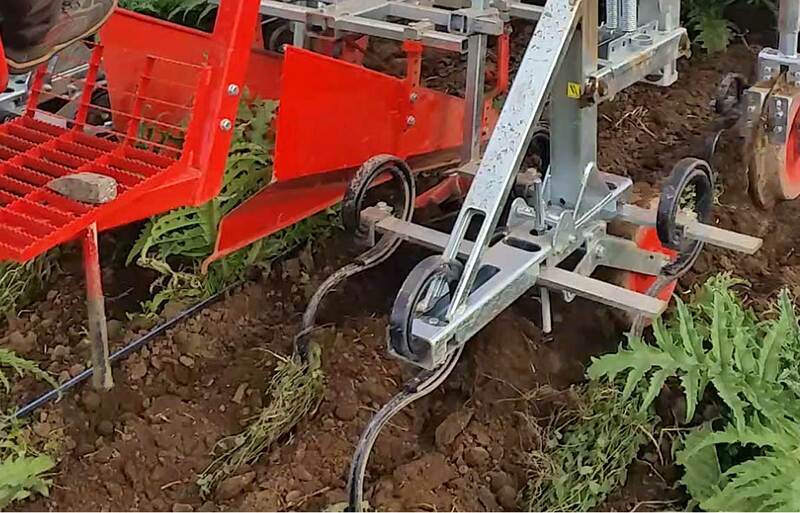 They work in line with the rear wheels of the tractor, breaking deeply the soil compressed heavily by the passage of the same. 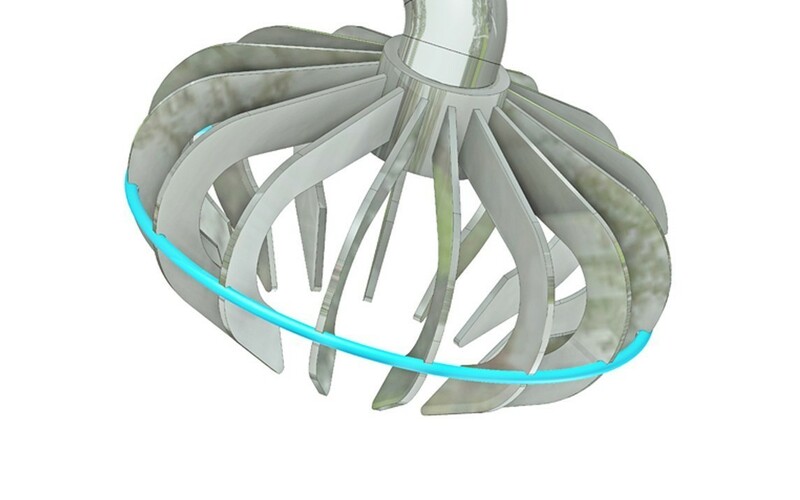 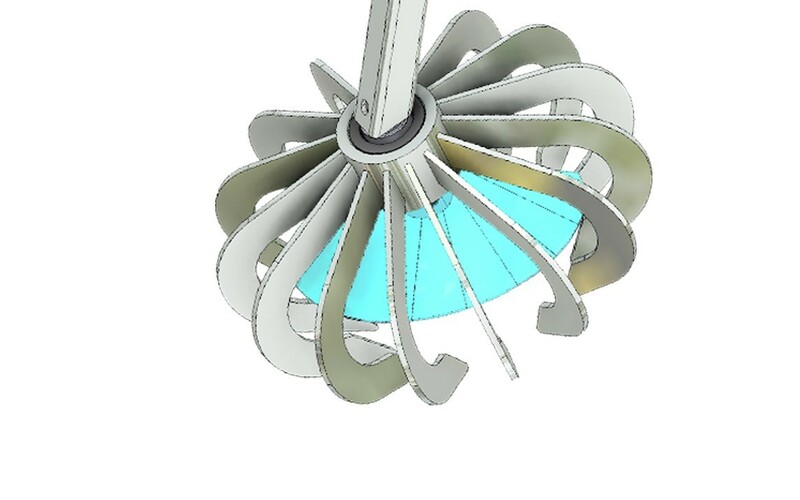 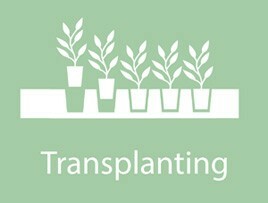 To protect the plants, shaped round profiles are mounted. 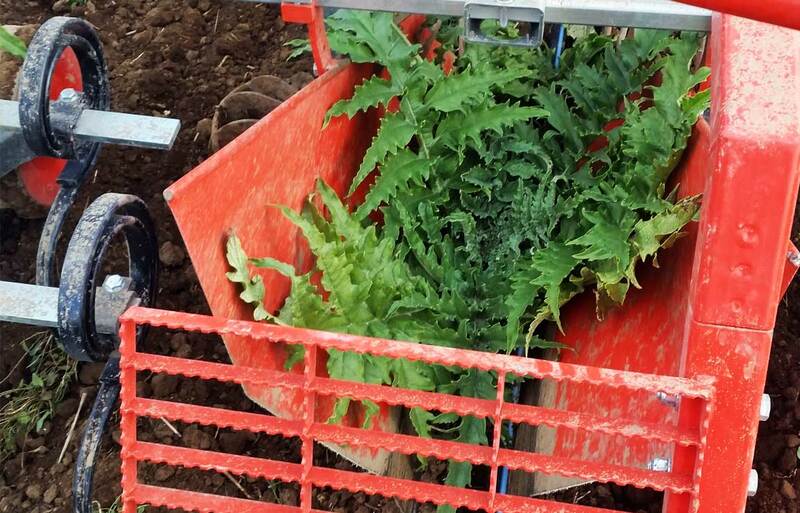 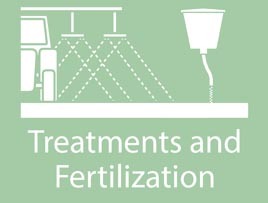 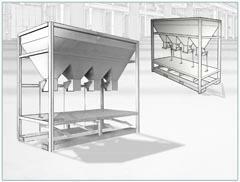 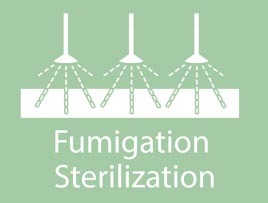 On plane lands, to protect the plants, specific profiles are mounted in sheet metal. 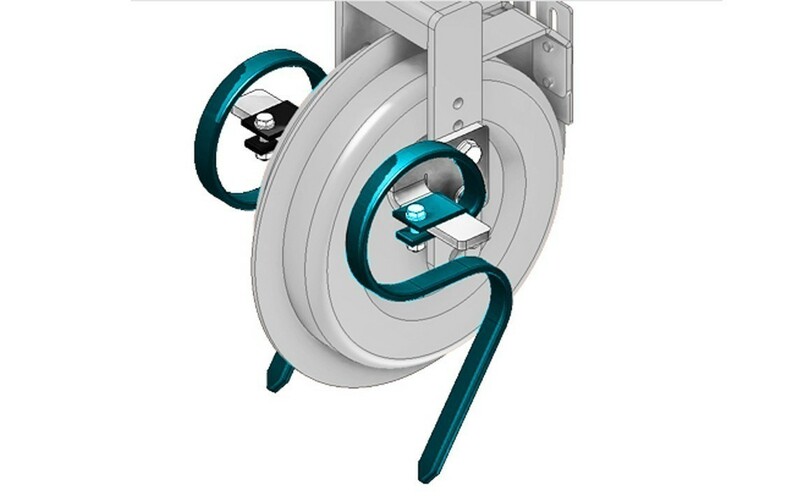 In stainless steel, fixed to the support. 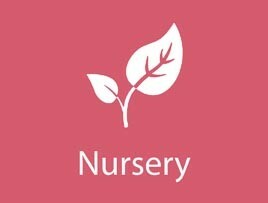 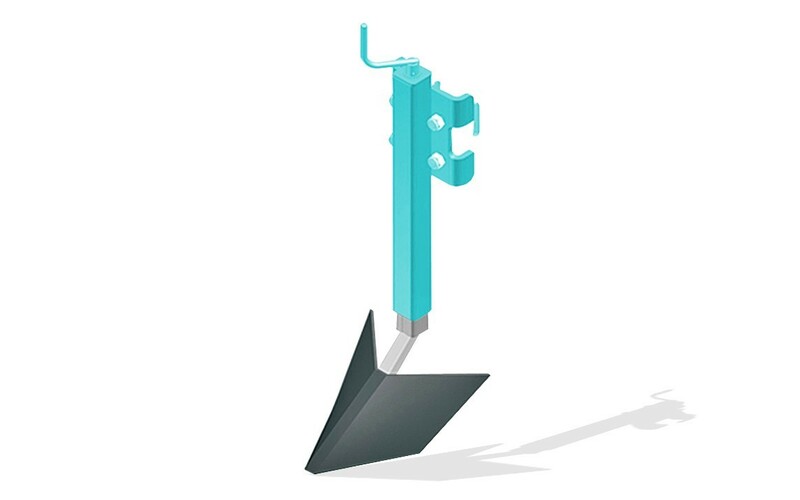 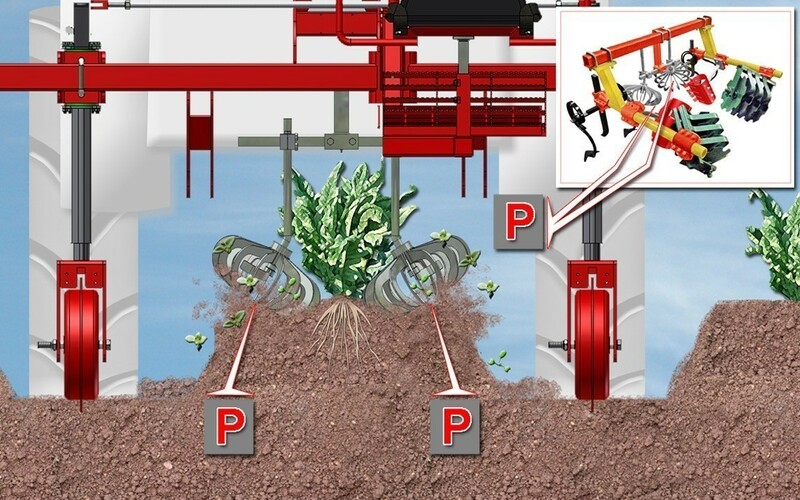 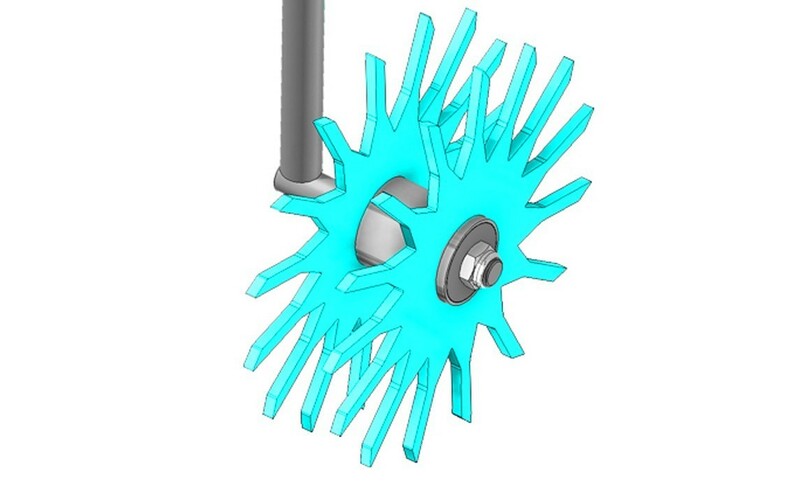 Cut the soil and any weeds, avoiding the accumulation inside the rotor. 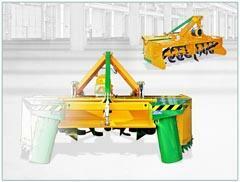 Positioned in front of the Rotoblizz and Rotovert rotors, it breaks the earth’s crust. 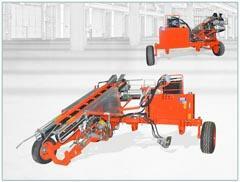 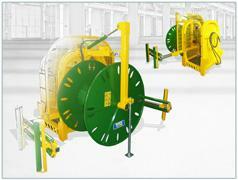 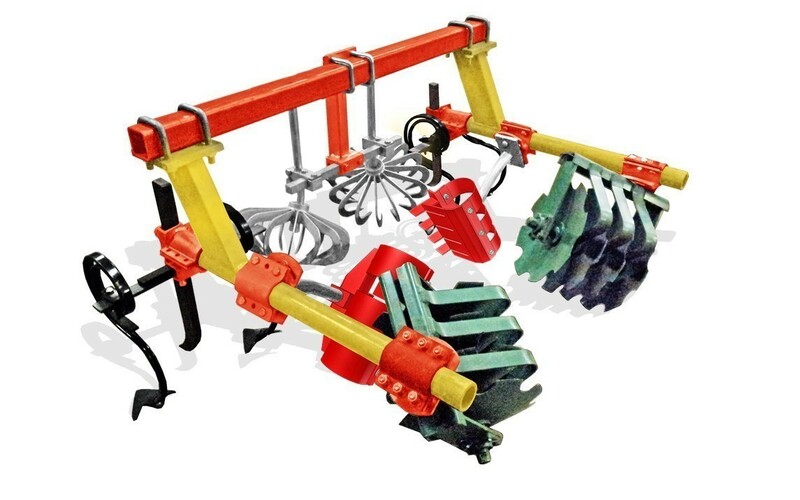 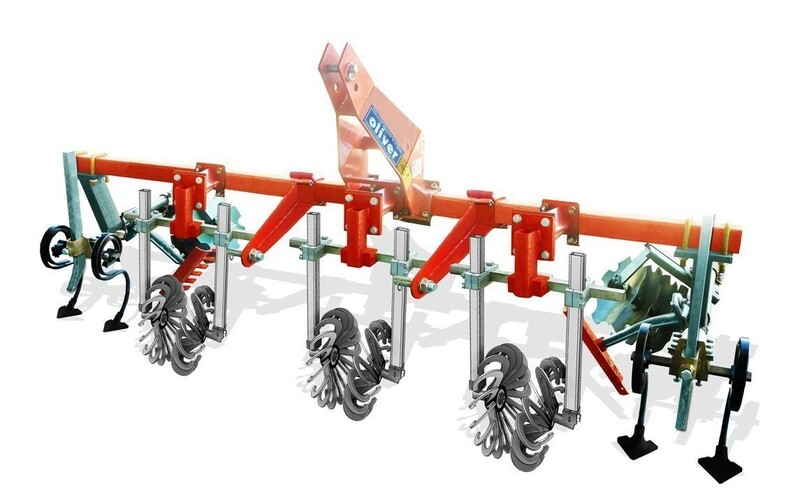 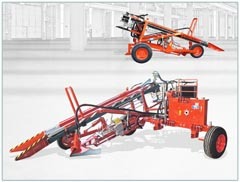 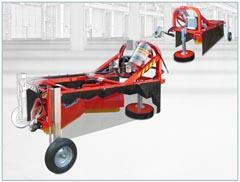 Mounted on directional wheels, they lift and break the tractor track. 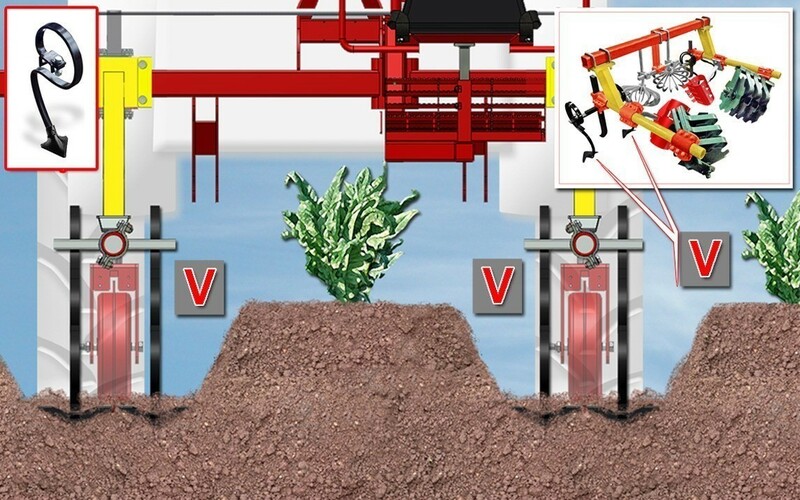 Device that lifts the hose before the Rotoblizz passage. 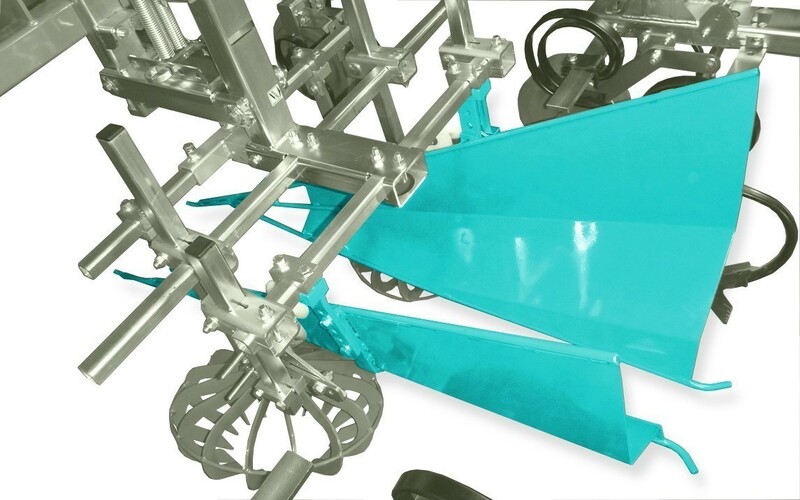 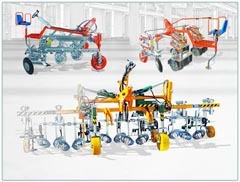 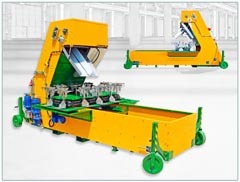 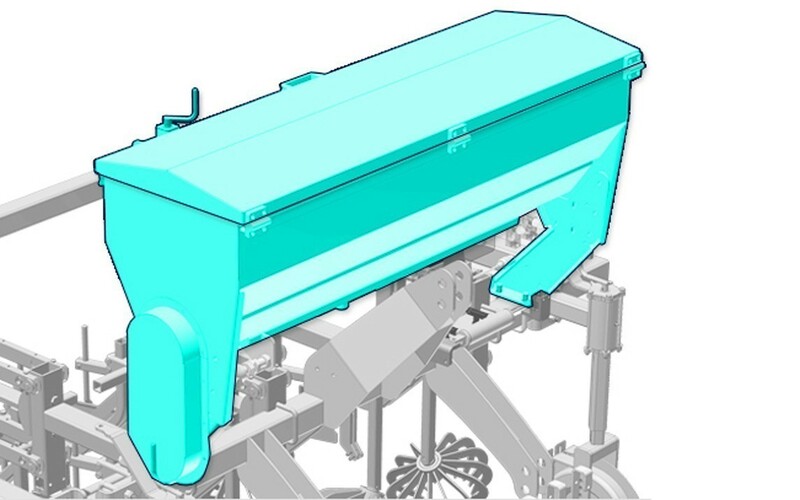 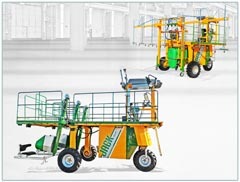 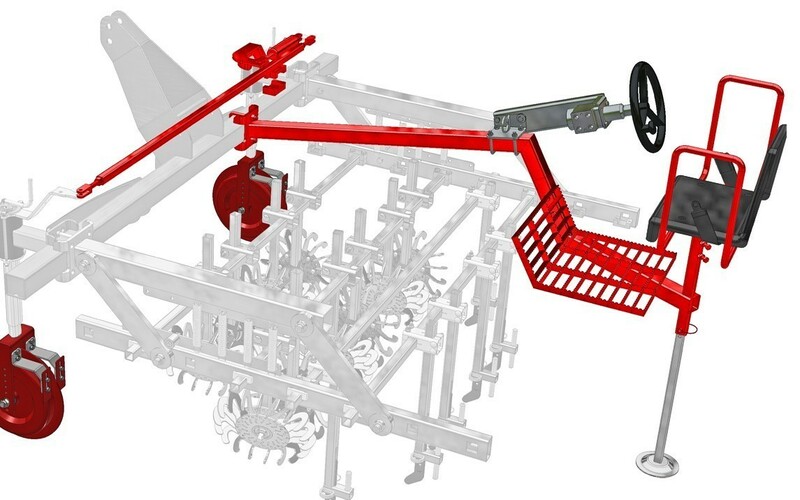 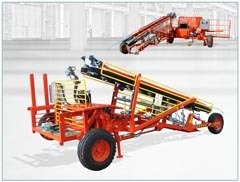 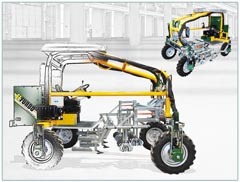 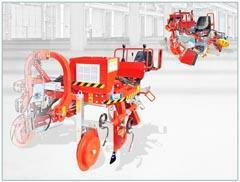 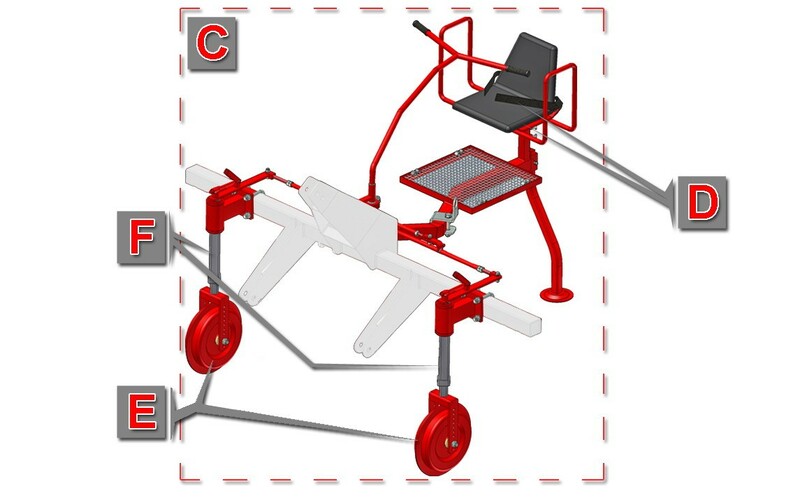 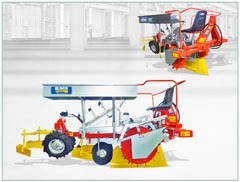 Applicable on all the available frames, it maintains the alignment of the machine, acting on the specific hydraulic drive (more precise than the manual drive), managed by the operator sitting on the machine. 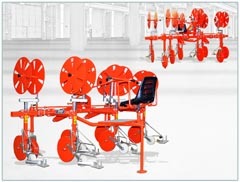 Mount crested wheels of various sizes.